It sports HomePlug AV2 MIMO, but it lags behind the competition. Editor's note: This review was originally published on March 30, 2015. TrendNet has since determined that the original hardware had a flaw and has replaced the product. 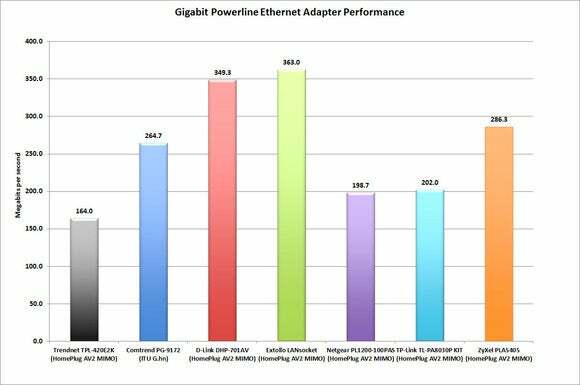 This review is of that revised hardware and includes new benchmark numbers. 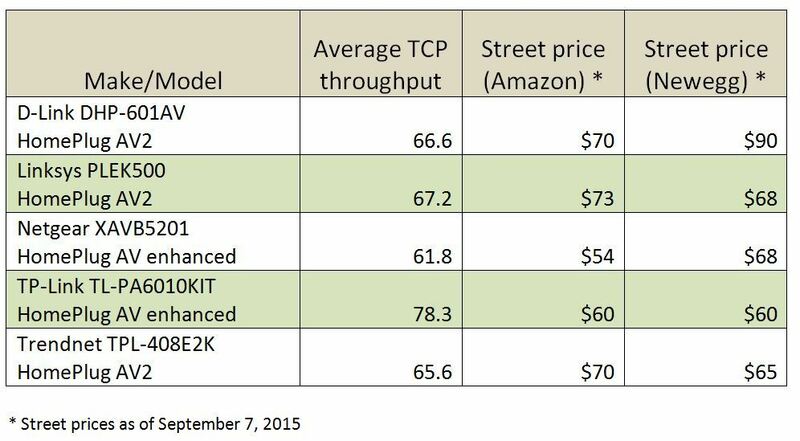 When we surveyed the power-line network landscape in January, the ZyXel PLA5405KIT was the only shipping product based on the fastest version of the Homeplug AV2 standard (commonly called AV2 MIMO). By March, however, Trendnet had joined the fray with its Powerline 1200 AV2 Adapter Kit (TPL-420E2K), but it tested poorly. Trendnet later determined that the product was defective and that it would be replaced. We have revised our review to reflect the results of our retests. The good news is that the replacement is indeed much faster and its performance more consistent than that of the original unit. Average throughput in my jPerf tests was 164 megabits per second, compared to less than 100 Mbps for the faulty first units. Prices have also gone down; on the street, the two-adapter kit goes for around $80 to $90, compared to $110-plus only a few months ago. 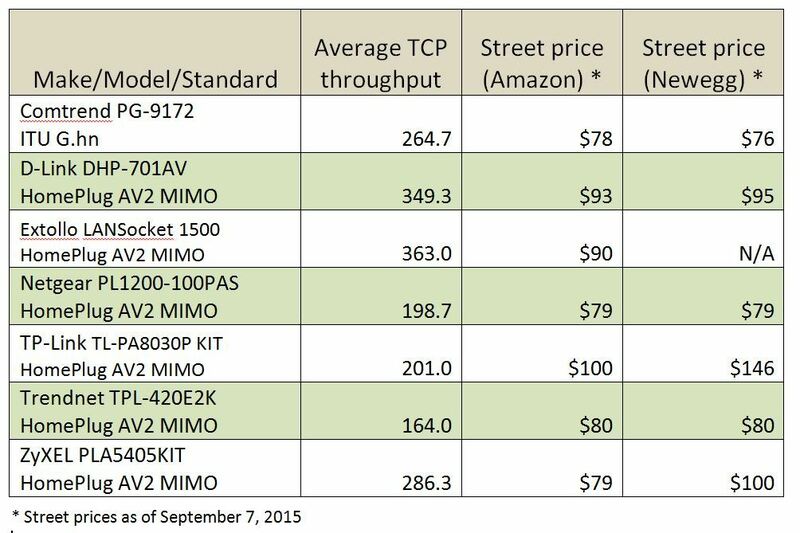 But several more vendors have released AV2 MIMO products since then, and this Trendnet’s performance numbers don’t look that great by comparison. It’s still slower than the ZyXel, and it’s positively pokey compared to the D-Link Powerline AV2 2000 (model DHP-701AV) and the Extollo LANsocket 1500, our reigning speed champs with throughput in the high 300Mbps. 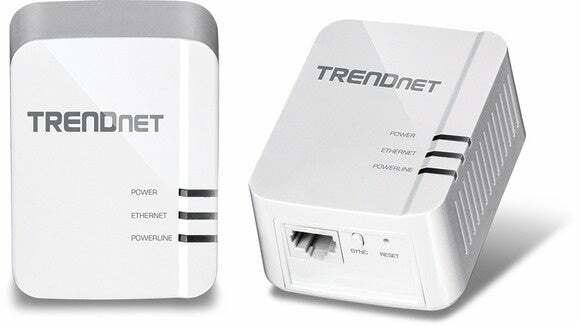 At least with the price drop, the Trendnet is now $20 to $30 less expensive than the super-fast competition. Its current price is about the same as that of the somewhat faster Zyxel kit, making it a tough sell in a market with increased competition. As with other HomePlug AV2 kits, the Trendnet TPL-420E2K ships with two small boxy adapters that plug directly into wall outlets. Each adapter has a gigabit ethernet port, and the kit includes two five-foot ethernet cables as well (a skimpy length, so you might need to provide your own to connect a network device that isn’t close to the outlet). The size of the adapters might block the second outlet (especially if you need to plug in another wall wart), but they are actually smaller than the faster competition. To create the power-line network using an existing Wi-Fi router (the most likely scenario for most people), you plug one of the adapters into a free wall outlet and run a cable from its ethernet port to a free LAN port on the router. Now you can plug in the second adapter to a free outlet near a device you wish to add to your network and run the second cable from the adapter to the device’s ethernet port. The technology is plug-and-play, meaning it requires no additional setup to work. Should you wish to add another HomePlug device, however, you’ll need to sync it to the network, typically by pressing buttons on both the new and one of the existing adapters (or by typing the adapter’s unique identifier into a software utility that most vendors provide). Data is encrypted using 128-bit AES. For those who don’t follow the minutiae of HomePlug AV standards for networks that use existing electrical wiring, HomePlug AV2 (the third-generation HomePlug spec) includes both mandatory and optional components. The first wave of HomePlug AV2 products were based on the mandatory components only, which promised nominal network speeds of up to 600 megabits per second and delivered 60 to 70 Mbps in our real-world tests. The second wave of HomePlug AV2 products utilize the MIMO (multiple input, multiple output) concept first introduced with high-speed Wi-Fi routers—hence the AV2 MIMO moniker. But this requires using all three wires in your home’s walls: line, neutral, and ground. If you live in an older home that doesn’t have grounded wiring (and three-prong outlets), you won’t be able to use this type of power-line adapter. Even if your home has grounded wiring, you should be aware that the quality of your electrical circuitry can significantly impact the performance of power-line networking devices. The revised Trendnet Powerline 1200 AV2 adapter kit certainly improves on the original, but the improvement isn’t enough to make it a strong contender against other AV2 MIMO kits in the same price range. Better luck next time, Trendnet. 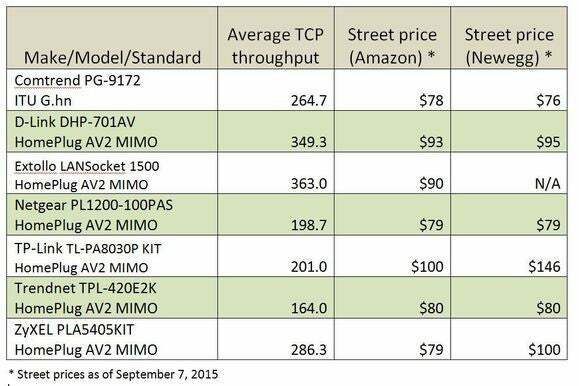 The TPL-420E2K delivers mediocre speeds for a HomePlug AV2 MIMO network, and you can get better performance from similarly priced competitors. No pass-through electrical outlet; module could block second port.